Everything was in good shape although heavy smoke from fires. 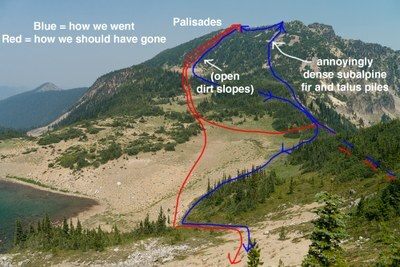 Ascended from Hidden Lake to the saddle between Palisades/Marcus and then turned north pretty immediately to ascend Palisades. 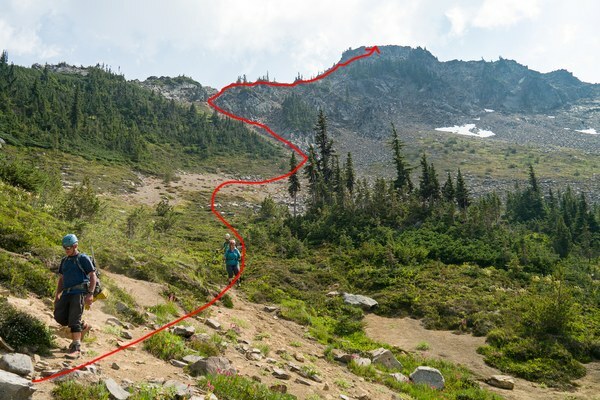 That involved tramping through subalpine firs. 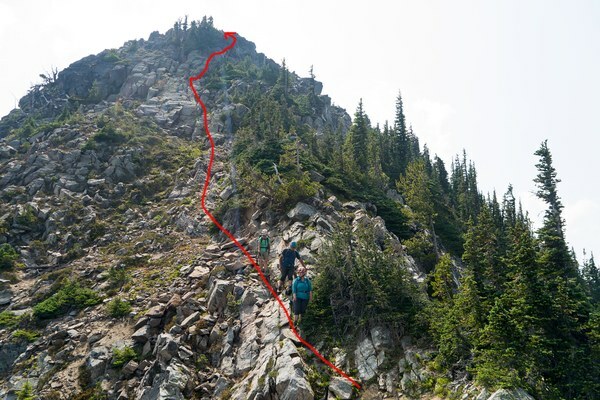 In retrospect, as we found on the way down, its much easier going to continue into the meadows from the saddle and climb up the more WSW slope of Palisades. Marcus was pretty straightforward up a short gully with some loose rock, and then riding the ridge most of the way to the summit. On the way up to the top, where the rock starts to steepen, easier scrambling to climber's right. We eyeballed the descent to the south from Marcus but then decided to retrace our steps and descended as we'd gone up.